King Lear is arguably Shakespeare’s greatest tragedy, and this is partly due to the ambiguity of its moralising, as well as its starkly contemporary themes. Who can’t relate to a tired ruling father going a little “odd” in his old age, sibling rivalry over a fortune, or acting out of ego rather than rational common sense? And yet – and here is the key to Shakespeare and partly why he is still performed so committedly, each performance brings out something new, a perspective not previously realised. Shakespeare doesn’t get old, and even more astonishing, each new generation to tackle his glorious words finds something in their collective human experience to highlight that has not been seen before. Such layered and rich text is impossible to imagine, and yet we have it, gifted to us for the last four hundred years. It is for this reason, there is never enough Shakespeare, and also why the more of his plays you see, the better they get. 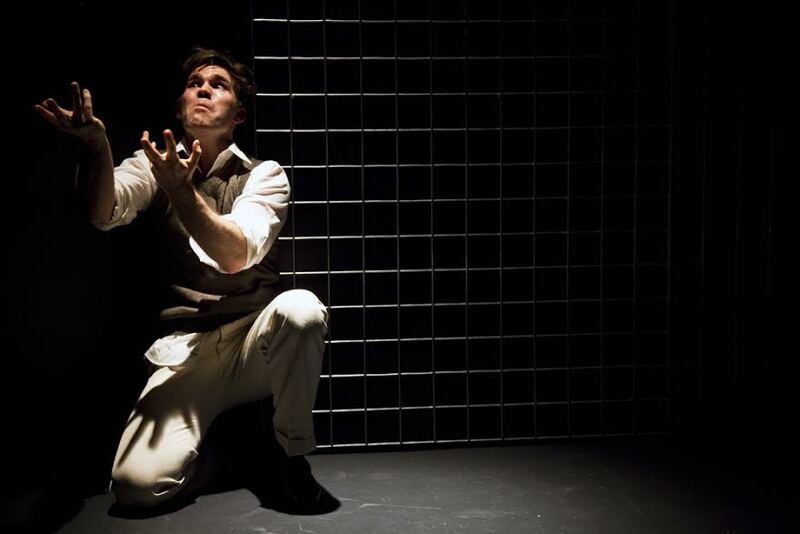 The Sydney Independent Theatre Company has two productions to contribute to this years Sydney Shakespeare Festival. 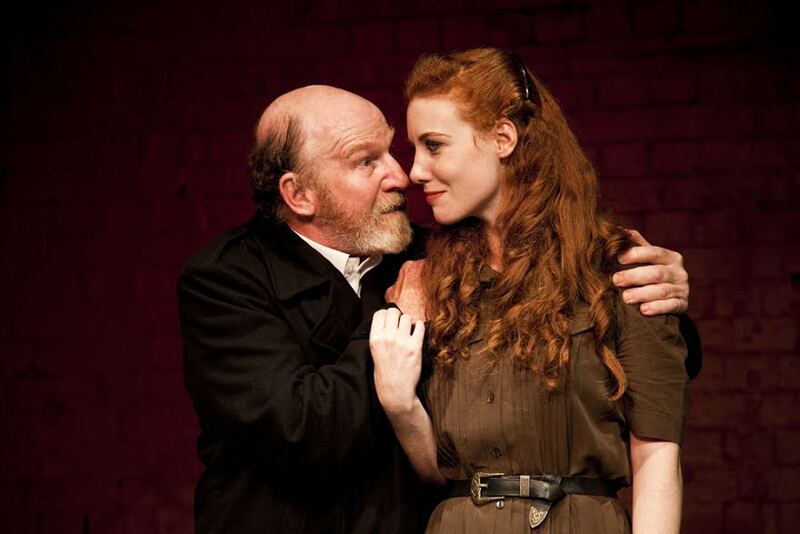 King Lear and Measure for Measure. I jumped at the opportunity to see Lear – it being one of my favourites and all. This enormous, thumping play is performed at The Old Fitzroy Theatre, a gorgeous experience in itself if you haven’t had the chance to get there. 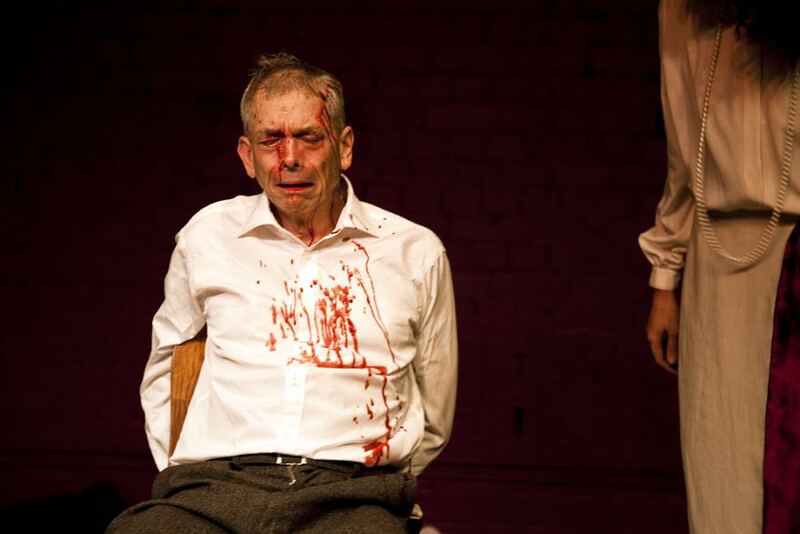 Lear is the perfect excuse to go, and expected new and thrilling insights were on offer. 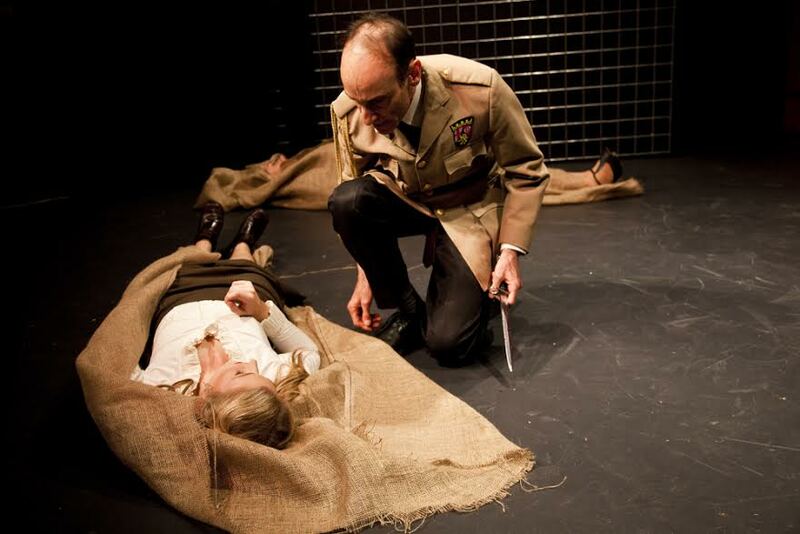 Directed by Richard Hilliar, this King Lear is ambiguously set in a post World War Two Britain, coinciding with a time in history “when the traditional notions of monarchy and familial duty are harshly replaced by new notions of self-serving individualism” as Hilliar describes in his introductory notes. This one shift moves the claim Lear makes on the love of his daughters out of the realm of the obscure and combines it with an outdated act of formalism. That Lear would suddenly require his daughters declarations at the point he divides up his kingdom always struck me as something of a mystery, and yet couched within an expected formality, it all makes sense. Regan and Goneril simply step up to the plate, but Cordelia becomes a visionary, speaking with great strength the integrity of a new generation. Lear in his age-induced fear wants – no needs – Cordelia’s forthrightness and individualism to be wrong, for in it he sees the demise of monarchy as concept. He also needs Goneril and Regan, who have merely followed tradition, to be right in their forced loyalty. This is Hilliar’s perspective placed over the top of Shakespeare’s words and it fits like a glove. As King Lear the play progresses, a Kingdom seems up for grabs with the demise of its King. Sharks appear from everywhere, the principle being Edmond, another child who will use patricidal disloyalty to gain control of the kingdom. Edmund’s manipulations speak further to the failing of an old world, when posited against loyalties (such as displayed in Kent) that can be relied upon, and even expected. Kent is the moral match for Cordelia, he being the old guard and she the new. Shakespeare, interestingly, represents an old wisdom with a wise old man and a new with a youthful wise woman. Cordelia will die as a sacrificial lamb, a last hope that change is not inevitable. Kent dies (probably) at his own hand, his place in the world crumbling before him, his object of loyalty dead before him. The world is changing out from under the time of King Lear and just as Lear’s demands on his daughters is old-fashioned, so is Edmund’s opportunism. Under Hilliar’s direction, each character is facing themselves at a crossroads, and it becomes clear why there are so many deaths as a new world order takes hold of the human mind. Leof Kingsford Smith plays a strong, boistress Lear, perfectly executing Hilliar’s vision. In the crucial opening scenes, his behaviour towards his daughter Cordelia and his loyal friend Kent come from rage that fits well with Lear’s fear. His confrontation with Daniella Baynes as a powerful Cordelia is complicated, and his rage against her always appears to be a fear of change rather than anger at a daughter. Smith is articulate, potent and strong as a King, so when he is reduced properly to madness, a fear ripples through the audience. Even pushed about by his daughters, stripped of his one hundred Knight retinue Smith gives off the “feeling” he is still in control, so that our loss of his lucidity is perfectly balanced against the chaos that ensues when the storm outside the walls matches the storm inside. Against Lear’s potency is Nick Hunter as a beguiling Edmund, a snake in the garden of Eden armed with the fruit from the tree of knowledge. Hunter is easy on the eye so it is no great leap to understand how everyone trusts this young man who has held his peace and his place for so many years. As Lear descends, Edmund rises and Hunter plays him on a slow burn, smouldering his way to the top. Regan (played in a slippery way by Amy Scott-Smith) and Goneril (a very proud and beautiful Hailey McQueen) are strong in the face of Lear, but painted fools in their dealing with Edmund, quick to abandon father, quick to abandon husband, quick to attach to any man who can keep them in the life to which they are accustomed. Again, it is Cordelia, her strength coming from within rather than from any man, who is posited (in her silent absence) against the opportunism of her sisters who shines. Richard Hilliar’s cast is so good, that there was no confusion in the playing of multiple roles, even though this is an enormous play with a tremendous cast (remember, a war takes place) and that is saying something in a small adaptation of King Lear. Long time experienced Shakespeare actors such as Roger Smith, a heartbreakingly adorable Kent, John Grinston as the wise Albany and Richard Mason as the desperately sad Gloucester balance well against younger actors like James Townsend, a villainous Cornwall, Kieran Foster as the down-in-his-luck Edgar (until the end of course) and Alexander Spinks who is a sharp and witty Oswald. A special mention goes to Jasper Garner Gore who is the best Fool I’ve ever seen, his part as Lear’s conscience, guide, friend and fellow sufferer is entrancing and addictive. I couldn’t stop looking at him when he was on stage, he delivers his clever, deep difficult lines with so much understanding that he brought this Shakespeare archetype to life for me. 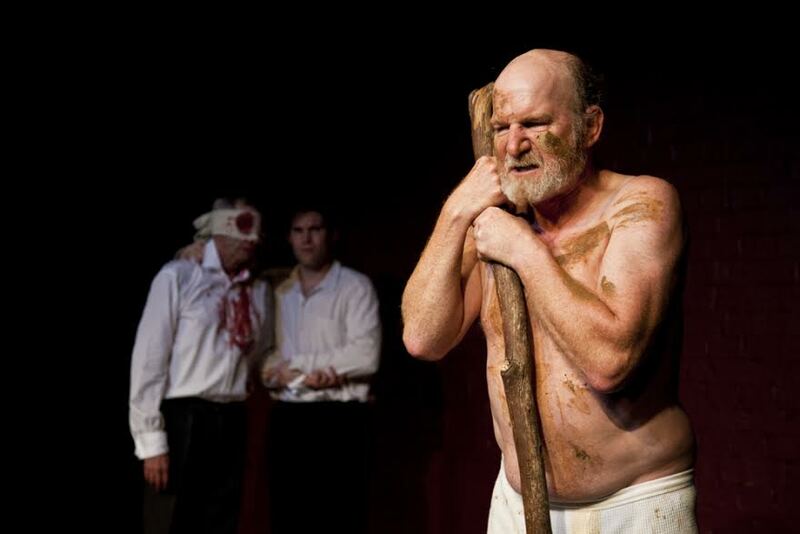 King Lear is showing at The Old Fitzroy Theatre from 20 November to 21 December. You can grab your tickets here.